I saw this quote on Pinterest, and I immediately gagged. This is, haha, a complete over-reaction, but loving to travel is one of the ways I identify myself (see my header above), so quotes like this feel like a personal attack. Unfairly so, since I have never met Seth Godin. BUT. I hate what this quote implies. 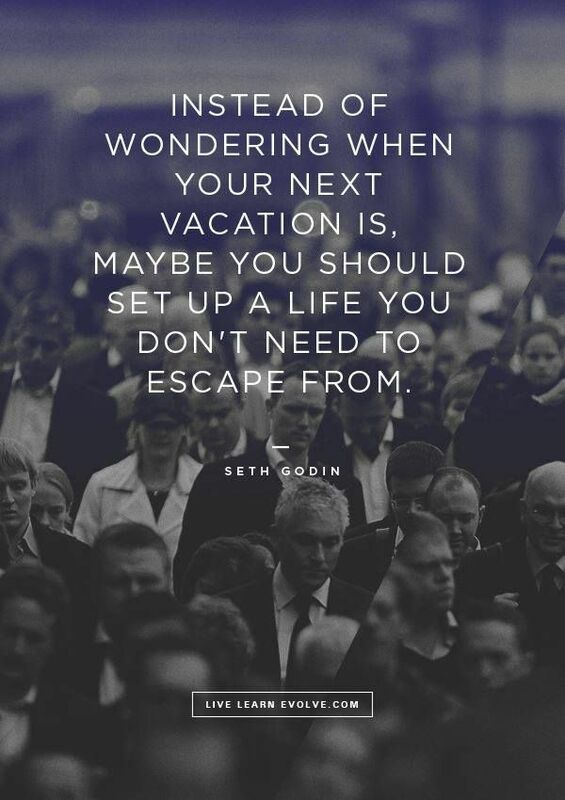 Sure, sometimes traveling is about escape. And yes, if you are constantly leaving a place because you hate your life, then OBVIOUSLY, do something to change it! But I would argue that most people aren’t traveling to escape. Or if they are, that it is a different kind of escape. For instance, I am generally a creature of routine. I like waking up at the same time, doing vaguely the same things, and then going to bed around the same time. It makes me feel safe. But after a month or so of this, my adventurous side gets itchy, and I want to do something different! This doesn’t mean I am escaping routine, although I am “escaping” routine. The thing is, I don’t want my normal life to change. I just need a shot of adrenaline and adventure, and then I’m ready to settle back into everyday life. But there’s something much bigger that Godin’s (possibly taken out of context) quote is missing. Traveling is exciting. I can love my life and also be desperate to see more of the world. I honestly don’t understand how people can know that there are 200 other countries in the world, full of people groups, cultures, fascinating cities, and stunning landscapes, and just…..stay home. The world is vast, beautiful, and in today’s technological age, available. Why would I NOT take advantage of airplanes and airbnb and vacation time to see another piece of it? Again, I am so aware that I am making a mountain out of a molehill. But that’s the second time I’ve seen that quote pop up on Pinterest, and I hate it. And what’s the use of having a blog if I can’t occasionally rant about things that I hate? Next Article I’m on Bloglovin’!